Gather up a variety of jars, some paint, Halloween designs and your family for some awesome family night fun! 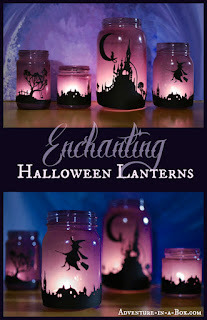 These Enchanting Halloween Lanterns are sure to be a hit. Adventure in a Box has this wonderful tutorial along with printable download designs...so head on over by clicking on the photo above.